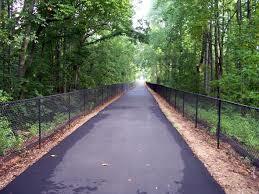 * a view of the Swamp Rabbit Trail in Greenville. "Whenever you see a fence … there's a reason it was put there. No matter where the fence is or what it's made of."